Made in Europe using the softest goose down. 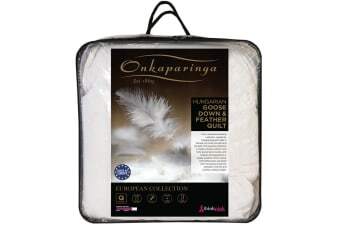 Give yourself the sleep you deserve with the luxury of fluffy Hungarian Goose Down. 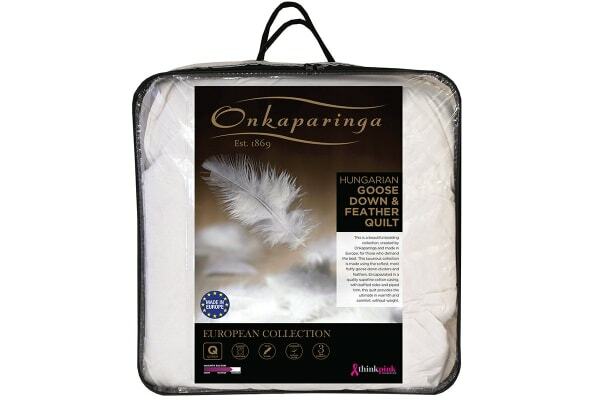 This Onkaparinga Hungarian 50% Goose Down Quilt has been expertly constructed in Europe, and features luxurious Hungarian White Goose down fill and a superfine cotton casing. The extra-large dense clusters ensure its amazing loft. It is finished with a piped gusset and a superior Hungarian made cotton japara.